Magically easy and fun! Stack a New Deck! Introducing straight lines that are bent and curves that aren't cranky! 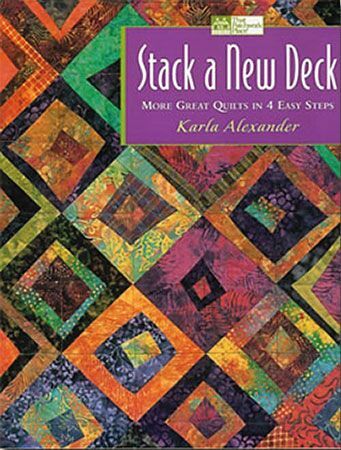 Come along on a no fail curvaceous trip of stacking and shuffling and stitching in the round as you make a whimsical runner, or a breathtaking full-sized quilt. Fast, efficient, no-fail methods that add up to an awesome quilt that will surprise the beginners and wow the advanced!